A wholesome and hearty family favourite. Incorporate any leftover vegetables you may have in your fridge! In a large soup pot, add oil, garlic, onion, carrots, celery, zucchini, leek, red capsicum, oregano and bay leaf. Heat on stove over a medium heat and sauté until softened. Add vegetable stock and tinned tomatoes. Bring to a boil before reducing heat to a simmer. Simmer soup until vegetables are cooked. In a separate pot, cook pasta based on packet instructions. When al dente, add to soup, along with cannellini beans. Taste, and season with pepper if necessary. 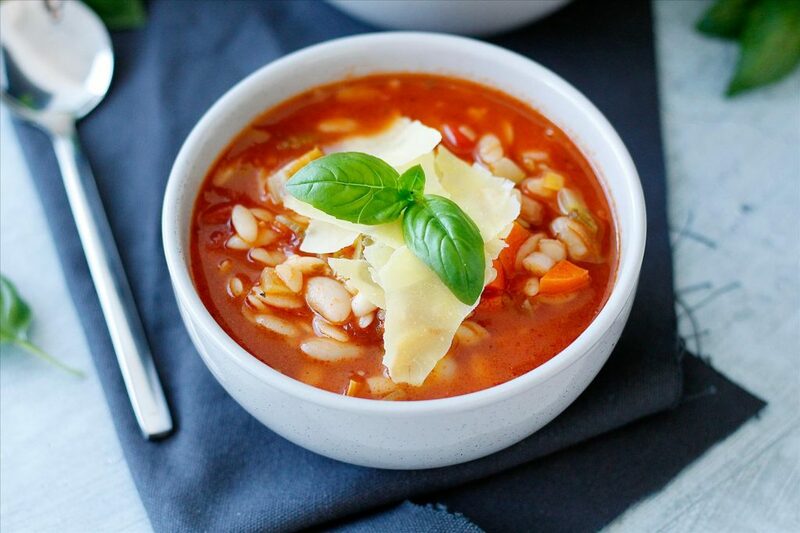 Ladle soup into bowls and sprinkle with fresh basil leaves and parmesan.